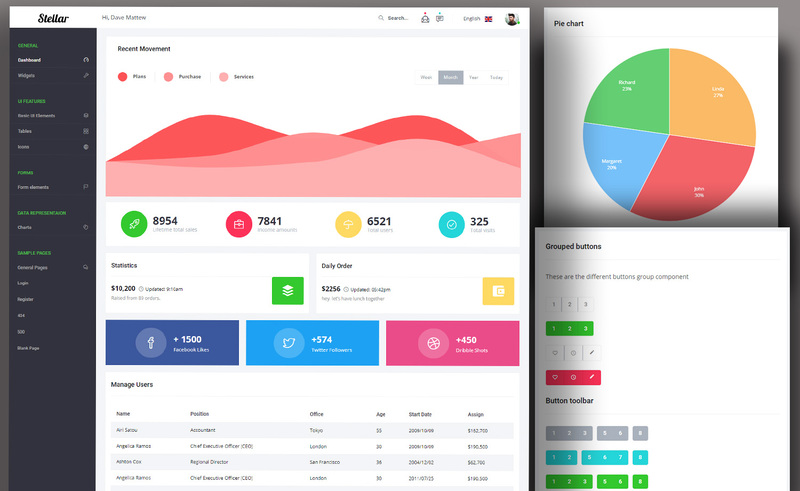 Bootstrap 4 based, beautifully designed and well-coded Free Bootstrap 4 web application dashboard template with multiple sample pages and features. Stellar Admin is a complete solution to your web application backend. It has all the important elements and functionality you can think of from a Free Bootstrap 4 Web Application Dashboard Template. If you ever thought of a free admin template with necessary pages like log-in and register, all of the basic UI elements, numerous no of static & dynamic charts and tables and other modern functionality, Stellar Admin is here. This powerful free admin dashboard template has huge potential and option for you to discover. To begin with, it’s left aligned navigation panel helps you to roam through different places of the site. Also, on top, you find the sticky notification panel. All of your messages, notifications and profile info are visible there. Additionally, it has a built-in search box included. Under the general tab, you can find several working widgets as well. This free HTML5 template’s UI features include different buttons, typography styles, tables and icons. 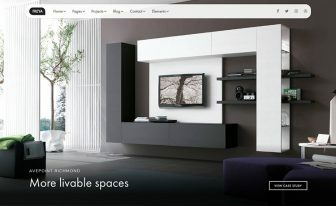 12 unique button styles along with numerous designs of typography increase not only its usability but also its beauty. Furthermore, 6 distinct type of tables and icons from FontAwesome are really valuable. Then for data representation, there are 6 types of charts. Pie chart, bar chart, area chart are some examples. Among them, real time chart gives us a dynamic representation. Additional to the default and basic forms, there are several other forms to take valuable input from the user as well. 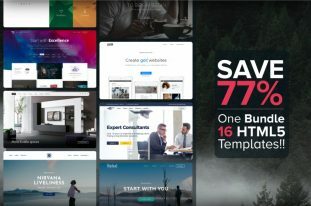 This modern and feature enriched admin template uses Bootstrap 4 which one of the latest releases. So down to a single pixel responsive as well as cross browser compatibility is ensured. This free Bootstrap template also includes some very common pages like a login page or a 404 page. 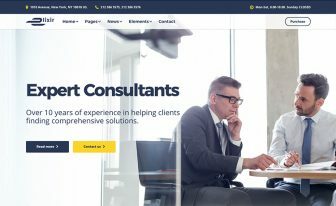 This is an admin website template. It requires some dependencies to be met before it can run. So, let’s go through the process. To begin with, download the template using the downloading method you like. Once downloaded, extract the .zip file wherever you like in your machine. Next, open up your terminal. Opening up the terminal requires different approaches depending on the environment you’re on. For example, on Linux, pressing Ctrl+Alt+T will prompt up the command line. Inside the terminal, make sure you’re in same the directory (cd) where you unzipped the downloaded file. You’re almost at the finish line! Hopefully, this will take care of all the dependencies to run the admin template on your machine. All you have to do now is find the index.html file and start creating! To get admin templates check on our Admin & Dashboard category. Purple Admin and Star Admin are two of the brilliant admin templates from the same author. 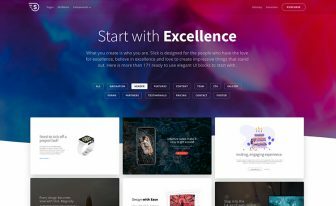 If you are looking for niche specific premium templates, you’ll find that as well. In addition, read this blog about Several Free & Premium Admin Dashboard Templates for more. I downloaded this and started making a few tweaks and realized none of the FontAwesome and many other items do not function out of the box. Many of them appear to be in a ‘node-modules’ folder that was not included in the download. 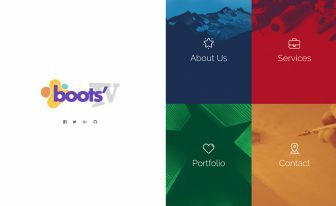 To download Bootstrap, go to their website. Can’t you download? Click on the Tweet button, please.